Which is the best laptop under 80000? Which is the best laptop under 75000? Looking for the best laptops under Rs 80000 for gaming and daily need? You are landed in the right place at the right time. Here we have considered some of the best configuration laptops under Rs 80000 from the top brands in India like Apple, Microsoft, Asus, Dell, and HP. All the laptops are listed according to the need of every user. Almost every laptop has an inbuilt graphics card which is added to boost your gaming experience. The laptops in this list are mainly meant for business, Video Editing, Programming, and Heavy Gaming. The listed laptops are thin, slim and lightweight which makes these laptops worth buy. 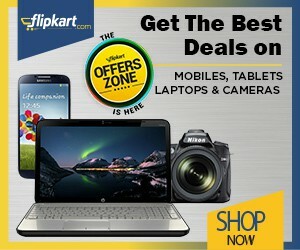 Read more useful articles- Best Laptops Under Rs 70000 in India and Best Laptops Under Rs 60000. What Components are in the Best Laptops for Gaming? Most people turn to their consoles for gaming. There are a few of us though that understand to really get the most out of games, to play them as they should be played, they must be played on a computer. After all, that is what a console is. It is a small computer that is only designed to play games. It has a CPU, a graphics card, and a power supply. The only difference is it will only play games and it plugs into your TV. They have their uses, but they will not top a gaming computer. Overall, you can’t top a desktop gaming PC. However, sometimes you need portability. It’s hard to drag your desktop machine to a LAN party. Maybe you are a college student. Or, maybe you just have a small apartment. Whatever your reason for wanting to find the best laptops for gaming we’re here to help. For the best performance in gameplay, you will want to look for a laptop configured specifically for gaming. Your average off the shelf laptop is going to cough, shutter, and pass out when you try to subject it to the rigors of gaming. It’s like taking a couch potato and asking them to run a marathon. It just doesn’t work. There are a few main components that you want to focus on when looking at laptops for gaming. It’s the same as with desktops. There are three main components. That may see out of order. Everyone knows that a CPU is the most important component of any computer. For gaming, it turns out that a video card is more important. You see, the heavy lifting for graphics (which is the cool part of a game) is handled by the video card. If you have an inferior video card it doesn’t matter how great your processor is your games will still look like crap. Tom’s Hardware publishes a monthly hierarchy of video cards. Check out the list. Spoiler alert: the GeForce 680M and the Radeon 7970M are the top video cards. The power supply is the next important component. Again, I know it seems counter-intuitive because after all for years we’ve been led to believe that a CPU is the single most important component of a computer. It is really important, but without an adequate power supply, your components won’t be able to function. Signs of an inferior power supply include lag, screen shutter, and frequent reboots. Unfortunately, with a laptop gaming computer, it is really difficult to know what power supply was used and if it is adequate. I would recommend reading reviews by users and if they complain of the symptoms mentioned, odds are the manufacturer chose their power supply poorly. Finally, we get to the all-important CPU. This choice is actually easy. Look for a Core i7 or i9. You can probably get by with a Core i5 but if you are going to splurge for one of the best laptops for gaming why skimp? Boy, it’s Hot In Here! There are other factors you need to consider in your gaming laptop. For one, the cooling components. All of those high powered parts produce a great deal of heat. Laptops don’t have much space for large fans and room for the heat to move and dissipate. Unfortunately, if your computer overheats guess what? It shuts down. Or worse, it fries the components. Again, like with the power supply, you aren’t going to know what cooling process is used. Read reviews from people that own the same laptop and see if they had issues that could be attributed to overheating. Memory is a very important component as well. Your hard drive stores programs and long term items. Memory is a temporary resource that is used to run the existing program. If you don’t have enough memory your gaming laptop will act like an Alzheimer patient. 8GB is good. Now you have an idea of what components to look for in the best laptops for gaming. Go do some window shopping. Make a list of the laptops you like and come back in a few days. We’ll compare notes because I’m going to do a review of my top pics. So, guys, this is a list of best laptops between Rs 75000 to Rs 80000 in India. Do share this article with your friends and make them save money.